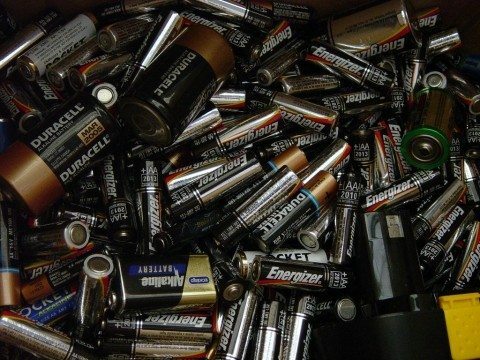 Do you keep extra household batteries in a junk drawer, or in a bag? How Can 9v Batteries Cause A Fire? Any time two 9-volt batteries touch (on the terminals on top of the batteries), they can create a charge, build enough heat, and burst into flames. Yes, two 9v batteries touching can start a fire! 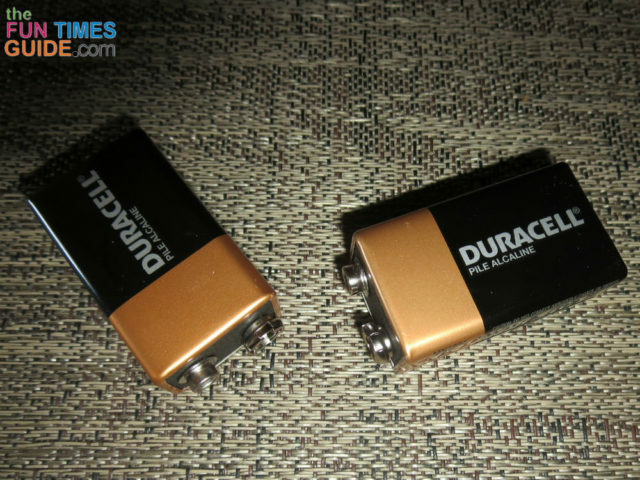 There’s no need to stop using 9-volt batteries. They’re safe. As long as two 9v batteries are not touching one another on the positive and negative terminal ends — or positioned close enough to one another to create a charge — they’re completely harmless. Ideally, you should keep batteries in their original packaging — because it was designed to keep the battery terminals from touching. If you store batteries loosely in bags or outside of their original packaging, then put a strip of electrical tape over the battery terminals of each 9-volt battery that’s not currently in use. Or, you could put a rubberband around batteries of all one size, making sure that the positive and negative ends are all facing in the same direction. If you want to be super organized with your battery storage, do something like this to keep all of the various battery sizes separated. Battery organizers have sections that make it easy to keep the battery terminals from touching one another. Whatever you do, don’t leave loose 9-volt batteries lying around — either for future use or waiting to be recycled. In fact, it’s a well-known fact that 9-volt batteries are recommended as fire-starters when you’re camping, or in a survival situation. A quick search on YouTube will reveal many of the ways that 9v batteries are used in combination with anything metal to start fires. Don’t keep 9-volt batteries outside of their original packaging. Especially don’t store 9v batteries loosely in drawers or in bags. If you do store 9-volt batteries loosely, then place a piece of electrical tape over the battery terminals first. Or, secure batteries in a rubberband first. Or, keep your batteries neatly separated in a battery organizer. Today’s Popular Ionization Smoke Detectors Often Don’t Even Sound Their Alarms!